In April of 1960, there were approximately 190 people on death row in the U.S.A. In January of 2006, that number has risen to about 3,700. Mr. Capote’s book, In Cold Blood, is considered one of the most riveting true crime novels ever written. 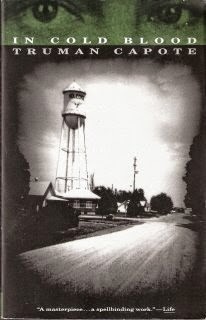 It is the story of two men who brutally murdered a family in the family’s Holcomb, Kansas farmhouse in November of 1959, the investigation and the trial, which eventually led to their deaths by hanging in 1965. Based on interviews with the two murderers and careful research, Mr. Capote’s rendition of the events that took place in the two men’s lives was gripping and heartbreaking. Despite my wanting to see justice served for the nightmarish crimes the two men committed, I could not help but feel sorry for them on some level. Mr. Capote was able to produce empathy for them in the way he told their stories, although not taking away the desire for them to face the consequences of their actions. Mr. Capote’s vivid descriptions of time and place throughout the book brought the story into the here and now. It was well written and definitely worth reading. The book reads like a novel and is even more haunting because the events that took place are true. In The Glass Castle, the author, Jeannette Walls, decided to share the story of her childhood, a story she kept secret for many years. She was raised by loving and eccentric parents: an artist/teacher mother and an inventive and alcoholic father. The family constantly struggled with poverty, moving from town to town, avoiding bill collectors, and eventually settled in a small West Virginian town. Jeannette Walls and her siblings had a difficult childhood, scavenging for food, basically taking care of themselves, and fighting off bullies, including sexual predators. This is the story about the Walls’ family’s strength, endurance and love for each other as they struggled to survive, each in their own way. 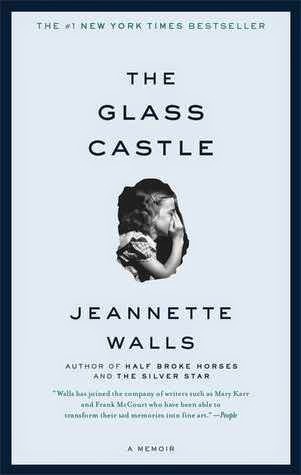 The Glass Castle was a touching memoir and Jeannette Walls is an example of how a “bad” childhood can lead to a good life. Maybe Baby by Lori Leibovich ed. I am constantly being asked if I have children, and, when I reply in the negative, the follow-up is generally the question of when. I am surrounded by people with children at work, both new parents and parents anxious to get that last child out of the roost. For most of them, despite the struggle parenthood offers, they say it is worth it—a must have experience for any person. And then there are the couple of people I know who are steadfast in their decision not to have children. In my view, there is nothing wrong with either choice. It’s a very personal one—and certainly not an easy one to make in many instances. 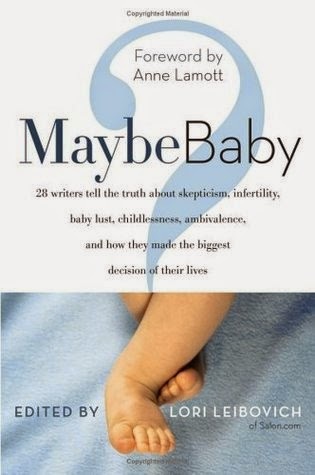 Maybe Baby is a compilation of essays by 28 writers who “tell the truth about skepticism, infertility, baby lust, childlessness, ambivalence, and how they made the biggest decision of their lives.” This book appealed to me because of the subject matter. In a society where more and more women and men are choosing not to have children, there is still a stigma against those who make that choice. And for those who have children, the balancing act of maintaining relationships, juggling a job and finances, and trying to be a good parent create a big challenge and is life changing. One aspect that I found quite interesting was the difference of parenting in other countries and cultures. It makes one wonder if perhaps the American culture itself doesn’t add to the stressors of being a parent today. I've wanted to read In Cold Blood but wasn't too sure about it due to the true events. It isn't like reading crime fiction, after all, though they are both horrific in the same way. I think I may want to read it at some point after reading your thoughts about it. Melody - It really does read like a novel, Melody, although the fact that it's a true story does make it more disturbing. Thanks for sharing about these books, Wendy! I've not read any of them, but definitely knew about the first two. I think I may even have a copy of In Cold Blood. Oh well. One day. I think the 3rd book, Maybe Baby, sounds good too. And I totally agree that this is a personal choice. I think I've mentioned that my daughter and son-in-law have gone back and forth about this decision. And then discovered that she has issues with fertility. Jury is still out on what will happen, but I'm perfectly OK with whatever she decides. And I was happy with her as my only child. Our society puts so much pressure on people about getting married, having kids, how many kids, etc. It's ridiculous and unnecessary. I am sorry about your daughter's fertility issues. I imagine it is both a help and a hindrance in their decision making process. Even though I knew we would only be having the one, I still had a hard time when my health issues made it impossible to even consider the possibility of having another. I do wish your daughter and her husband the best in whatever they choose. I can still remember reading In Cold Blood when I was in high school. It absolutely horrified me. I started Half Broke Horses by Walls once, but for some reason never finished! Maybe Baby sounds good; I agree that the choice about whether or not to have children should be a personal one. Jenclair - It was very disturbing. Such a horrible crime. I decided against reading Half Broke Horses. It sounded too much like her first book, and reading The Glass Castle was enough for me. I wasn't as in love with the book the way many others were--maybe because I of my work. I really admired her positive outlook though and have great respect for Walls. I've been considering reading In Cold Blood and The Glass Castle for quite some time. My daughter read In Cold Blood in 11th grade and was fascinated by it though of course found it disturbing. Have you seen the movie Capote? She found that really interesting as well. Katherine - I have seen Capote! It was very well done, I thought. Both books are good if you get a chance to read them! I always find it fascinating to re-read my book journals so can fully understand the enjoyment you get re-visiting these books. Tracy - Or wonder what it was you saw in the book back then. ;-) It has been a good experience for me, revisiting my reading this way. The memory of a book comes back to me more fully when I read my journal whereas if it's a book I read before I kept track, I my memories are much more vague. The Glass Castle sounds intriguing and I have wanted to read Capote for some time too. Naida - The Glass Castle is a favorite of many I know. I think it's worth reading. Such a sad story and yet inspiring too. Capote is a good one was well, but for different reasons. I had nightmares for days after I read In Cold Blood. Even now, the pictures of the crime is so vivid. So tragic for a family to die that way. Capote sure painted the criminals in a compassionate manner but I guess I wish he didn't - I couldn't shake the fact that they killed a family. Athira - I can imagine! The scenes were written so vividly. It was a disturbing crime. Horrible. And so random, really. That's what makes it even more scary. The Glass Castle just broke my heart. I just could not understand how parents could have children they had so little interest in parenting. Kind of fits right in with Maybe, Baby - there are definitely people who should not have children and should not be made to feel like they have to. Lisa - The Glass Castle didn't get to me like it did for many others--probably because of what I do for a living. I've seen much much worse. I think what I most liked about it was the author's attitude and resiliency. And I truly got the impression her parents did love their children, even despite the horror their life was. I've read all of Walls's books, but The Glass Castle was the best, IMO, despite its being extremely disturbing. Shaina - I haven't tried Walls's other books. I'm afraid I haven't really had any interest in them. Maybe someday. The Glass Castle is one of my all-time non fiction faves. I was surprised that I didn't love In Cold Blood more. I think I might have been expecting too much! Stacy - The Glass Castle seems to be on a lot of people's favorite lists! I am glad you liked it so much. I loved In Cold Blood. I haven't read anything else by Capote, but I keep meaning to.